BONTOC, Mountain Province – The Regional Development Council (RDC) and the Regional Peace and Order Council (RPOC) in the Cordillera chaired by Baguio City Mayor Mauricio G. Domogan unanimously approved a resolution urging all Cordillera local government units to institutionalize the community-driven development approach in local development planning and implementation of poverty reduction initiatives. The resolution stated that during the Kapit-Bisig Laban sa Kahirapan–Comprehensive and Integrated Delivery of Social Services (KALAHI-CIDSS) community-based organizations conference on June 21, 2018, 26 civil society organizations signed the call for the institutionalization of the community-driven development approach into the local development planning and implementation of poverty reduction initiatives in the different parts of the region. Further, during the KALAHI-CIDSS local government forum on December 6, 2017, 36 local government officials and staff signed a pledge of commitment to uphold and institutionalize the community-driven development approach to deepen citizen participation, increase transparency and imbed accountability in poverty reduction and local governance. The KALAHI-CIDSS–National Community-Driven Development Program (NCDDP) is a poverty alleviation program of the national government implemented by the Department of Social Welfare and Development (DSWD). 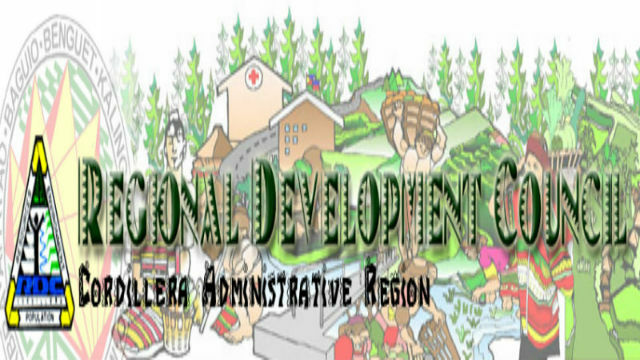 The KALAHI-CIDSS-NCDDP), implemented in 48 municipalities wherein 28 are still ongoing in the Cordillera’s 6 provinces, uses the community-driven development approach to accelerate delivery of basic services, promote inclusive development, minimize the elite capture and enhance participation, transparency and accountability in governance. In the course of the implementation of the community-driven development approach, the resolution stated that the beneficiary municipalities underwent the institutionalization framework from appreciation, acceptance, adoption and local government unit-led implementation in close partnership and coordination with key local government functionaries and officials who were capacitated to implement and facilitate the community-driven development technologies during program phase-out. Earlier, the DSWD-CAR under the able leadership of regional director Janet Armas reported that since its implementation in 2003, the KALAHI-CIDSS-NCDDP was able to support communities in local decision-making, prioritization and implementation of local and community development activities; assist in promoting inclusiveness, transparency, and accountability in planning, implementing and monitoring local and community development activities and assist in local capacity development and supporting coordination work with local government units, civil society organizations and national offices.